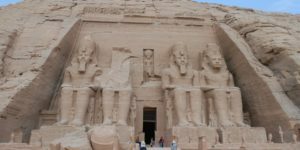 When planning your Egyptian holidays to a nation blessed with such a rich and diverse history, Osiris Tours is here to help, and part of our country’s wonderful heritage is evident in its legacy of monument and temple building. 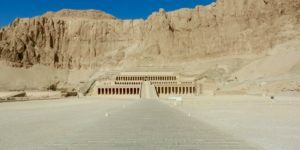 Such was the mastery of the ancient Egyptians, both in the artistry and engineering behind their magnificent monuments, that many of them still stand today, giving visitors a unique opportunity to walk among the enigmatic stones that still resonate with the myths and mystery of these ancient lands. 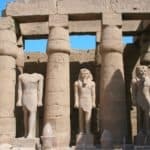 There are literally hundreds of inspiring temples to visit across the country, but we at Osiris Tours have put together a list of what we consider among the most unique and interesting for your Egypt vacation. Considered one of the most significant of all archaeological sites in Egypt, the city of Abydos, home to the temple of the same name, lies on the west of the Nile near the modern city of Al Balanya. 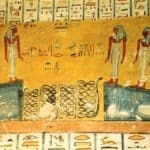 Dedicated to the pharaoh Seti I, Abydos Temple is famous for its carved inscription detailing a list of the most dynastic pharaohs, from Menes until Seti’s father, Ramses I. There are many temples situated in Abydos, but the temple of Seti I is regarded as one of the most remarkable ever constructed in Egypt, due to its spectacular carvings and historical importance. 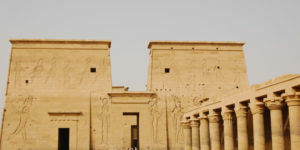 The temple complex of Dendera is one of the best preserved of all such places in Egypt. 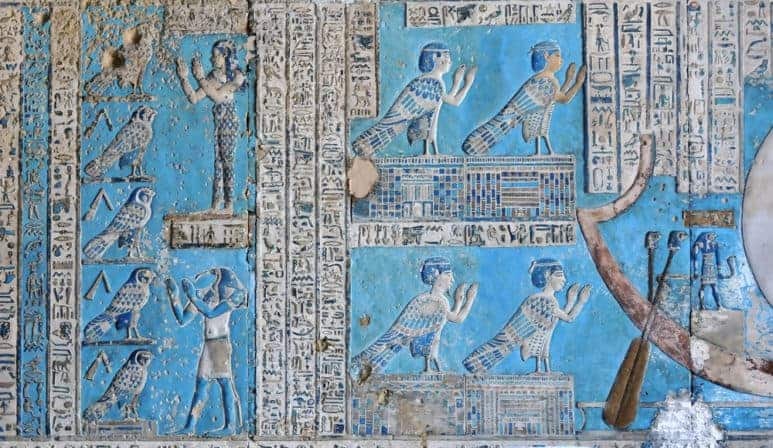 At 40,000 square meters the site is vast, and with its many layers of Egyptian history in one site, Dendera could be labeled a fine example of architectural palimpsest. The main temple of Hathor is spectacular, with its impressive hypostyle halls and beautifully carved and adorned ceilings and columns. Of special interest is the Dendera Zodiac, a stunning ceiling bas-relief rare in Egyptian art. 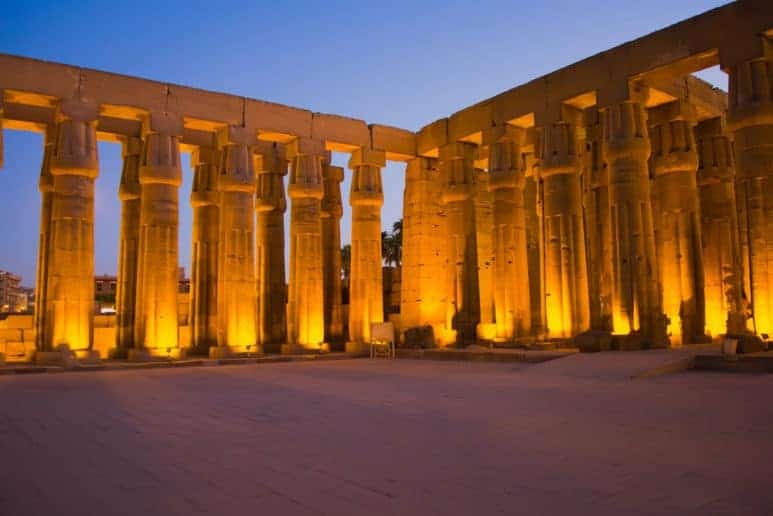 Dating from around 2055 BC, the Temple of Karnak in Luxor is one of the most famous of all temples in Egypt, and with good reason is a must-see for anyone traveling to Egypt. Quite simply, Karnak Temple is magnificent. 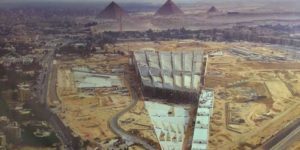 Dedicated to the cults of Amun, Mut and Khonsu, it is the largest religious structure ever built, and one of the grandest. It remains inspiring today, and as you walk in the shadows of its gargantuan hypostyle halls, try and imagine just how awe-inspiring it would have seemed over 4000 years ago. 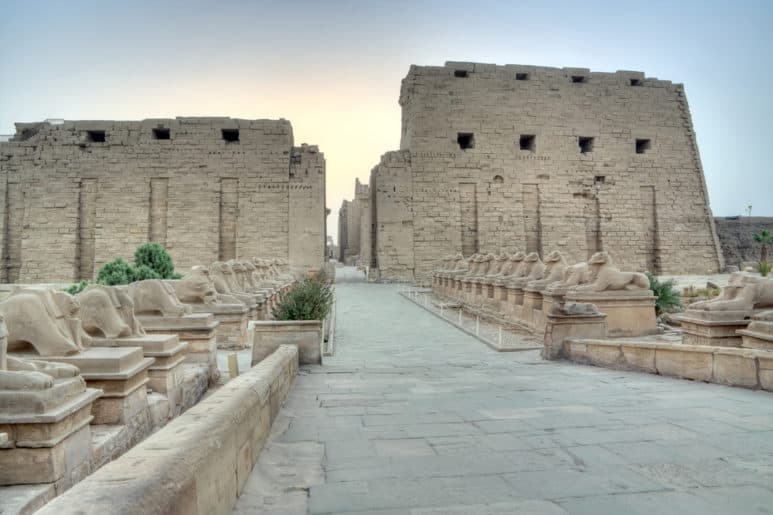 It is believed that the great temple at the heart of Karnak is so vast it could hold the cathedrals of St Peter’s, Notre Dame and Milan within its walls. Nestled on the east bank of The Nile River in Luxor, construction of the Luxor Temple was started by Amenhotep III around 1390 BC, and is considered one of the most beautiful in Egypt. With later additions by legendary pharaohs such as Tutankhamun and Ramses II, the temple at Luxor is rich with historical significance. Formerly known as Ipt rsyt, meaning the ‘southern sanctuary’, the Luxor Temple was the holy of holies, where the principle God Amun resided. 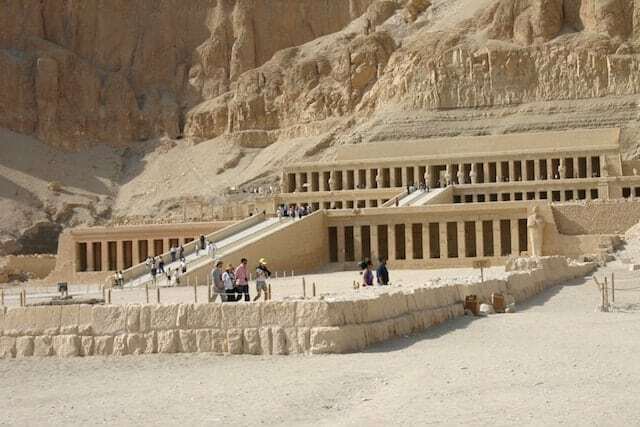 Known as Djeser-Djeseru, or ‘Splendor of Splendors’, Queen Hatshesput’s mortuary temple lives up to its billing as one of the most incredible in Egypt. With its multi-terraced courtyards and sweeping, iconic colonnaded halls, it is a temple fit for a rare yet powerful female pharaoh. 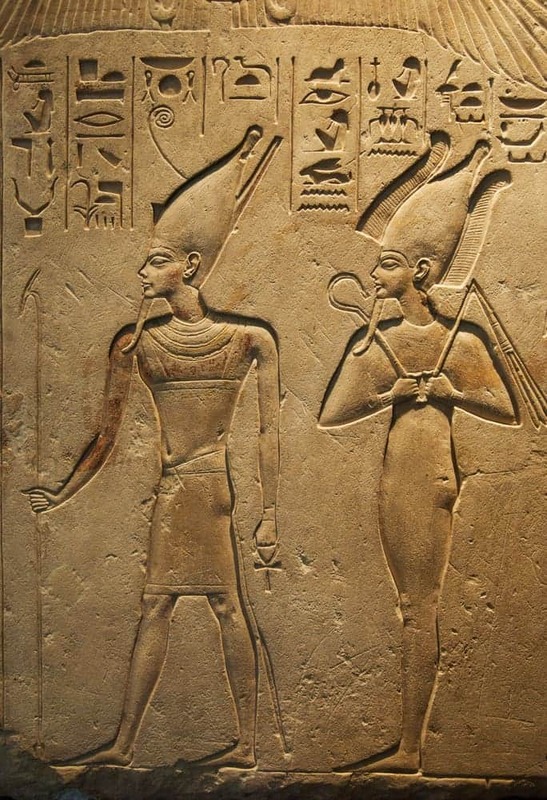 There are many examples of fine sculpture and carved reliefs at Hatshesput Temple, dating from 1480 BC, and is a highlight of any of Osiris’ Egypt luxury tours. 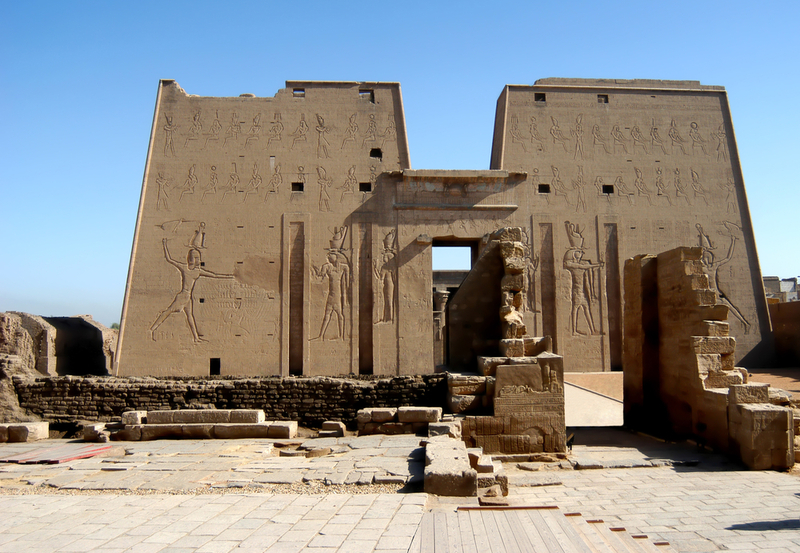 Also on the west bank of the Nile near Luxor is the mortuary temple of Ramses III at Medinaet Habu. 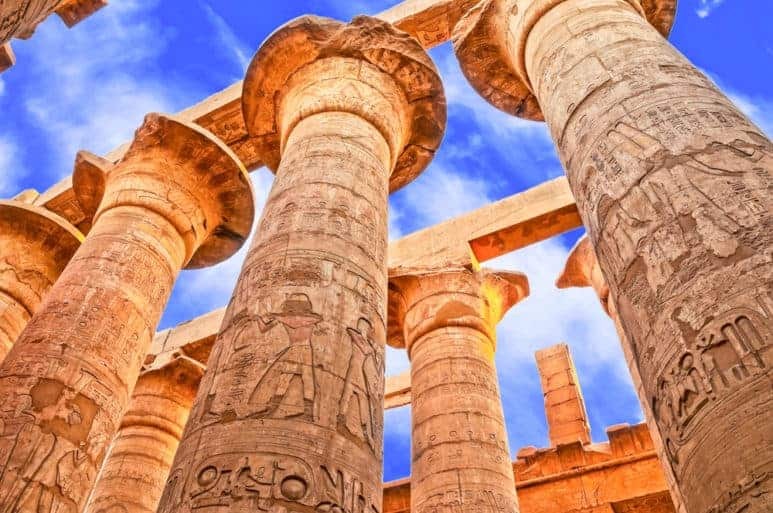 At more than 450 feet in length, the main temple is vast, and as well its size and architectural and artistic significance, Habu Temple is known for its reliefs detailing the defeat of the Sea Peoples of The Aegean Sea. As one of the least toured sites around Luxor, a visit to this special temple gives visitors a unique and more intimate step back in time. 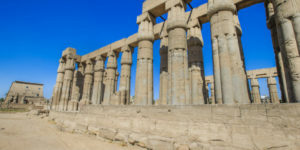 If you’re traveling to Egypt, the Ramesseum Temple is a must-see site. Dedicated to Rameses II as well as the God Amun Ra, the Ramesseum is massive. The interior Hypostyle hall is vast, and adorned on its remaining 29 columns are the carved scenes of the legendary battle of Kadesh and the Syrian wars. The best preserved statues are found in the second courtyard, as well as two rows of Osiris columns representing Ramses II. The Ramesseum is also known for having the world’s first arches. Great Hypostyle Hall and clouds at the Ramesseum Temple Temples in Luxor, Egypt. Built later than many of Egypt’s temples, The Temple of Horus in Edfu is considered one of the best preserved. But because it is still built in the style of traditional architecture, visitors get a beautiful snapshot of how most temples once looked. 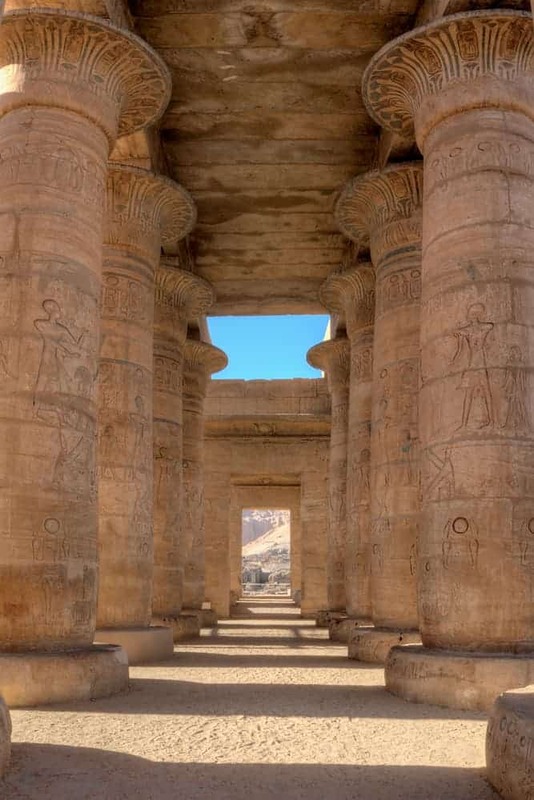 Located about 60 miles south of Luxor, Edfu Temple offers visitors many highlights, not least its megalithic pylons, the colonnaded Birth House, and its sophisticated system of lighting that provides an atmospheric after-dark experience. 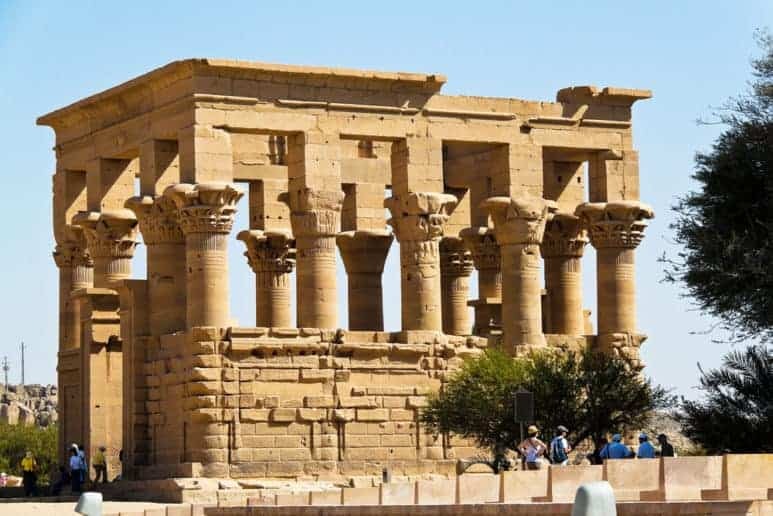 Just north of the city of Aswan is the unique Graeco-Roman temple of Komombo. 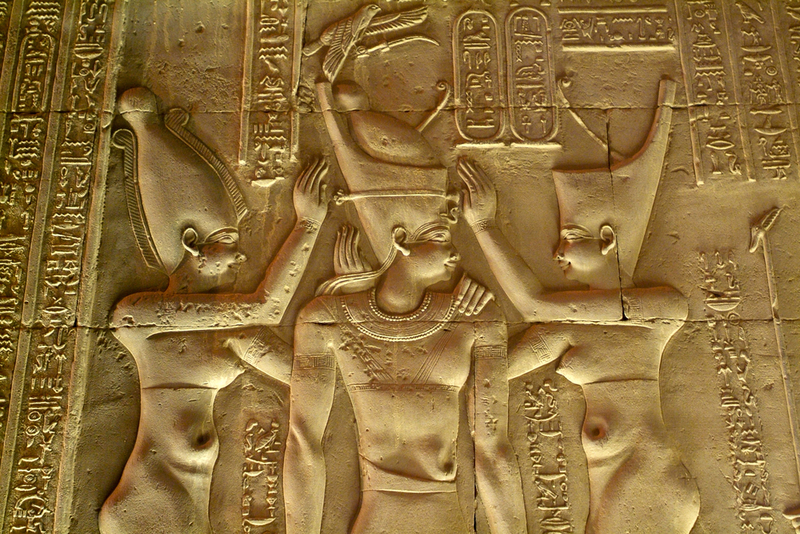 It’s unique because it is technically a double temple, dedicated to both Sobek, the crocodile god, and the falcon-headed god Horus. Interesting fact: the site was once a training center for African war elephants. 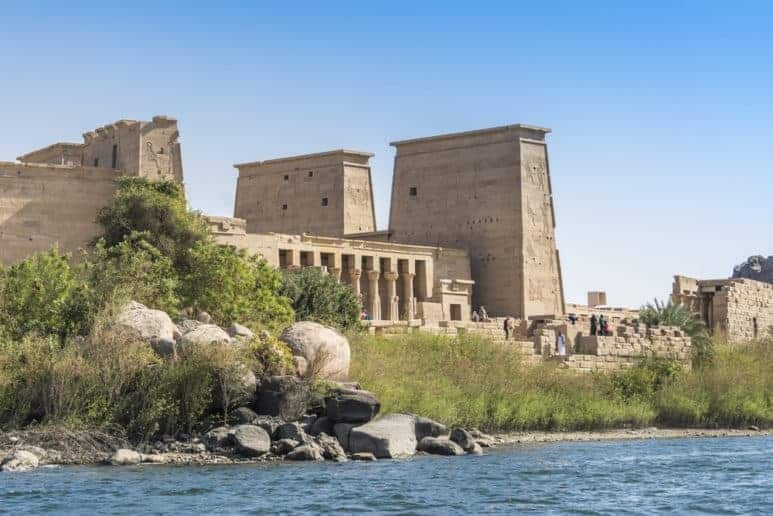 Set upon a rocky island in the Nile near the city of Aswan, the Temple of Isis is one of Egypt’s most enigmatic temples. Isis, wife of Osiris and mother of Horus, was a significant character in Egyptian history, and used her magical powers to bring Osiris back to life after he was murdered by his brother Seth, and becoming known as the ‘giver of life’ and ‘protector of Kings’, the cult of Isis spread all across ancient Europe. 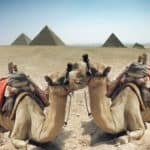 By using the vast experience and expertize of our passionate guides during one of our many Egypt tour packages, we at Osiris can help you make the most of your time in our beautiful country.